‘One piece’ is a great anime. It started way back in 1999 and has stayed strong over the years. The series is a nice piece of adventure anime filled with action and humor. This is also the best-selling manga with around 440 million copies sold. I liked the main plot structure. It is simple and fun. A person by the name of Gold D. Roger has amassed everything a pirate should have like money, power etc. This made him worthy of the title ‘Pirate King’. But all good things must come to an end and he is captured. When he was going to be executed, he talked about his precious treasure named ‘One Piece’ hidden in Grand Line. Many tried to get their hands on his treasure but none could. Monkey D. Luffy decides to give it a shot to become the next pirate king. There starts a colorful adventure with lots of fun and entertainment. 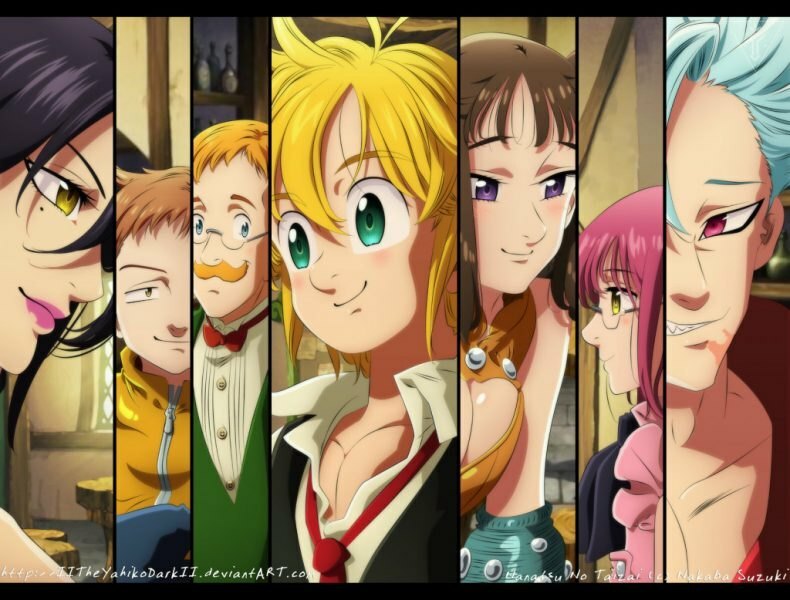 Here’s the list of anime similar to One Piece that are our recommendations. You can watch some of these movies like One Piece on Netflix, Hulu or Amazon Prime. The first one has to be the ‘Dragon Ball series’. Both are similar in their plotline. Here we have a kid named Goku who sets out on an adventure with Bulma, daughter of an inventor. Bulma met Goku when searching for the famed dragon balls. Goku owned one of those. 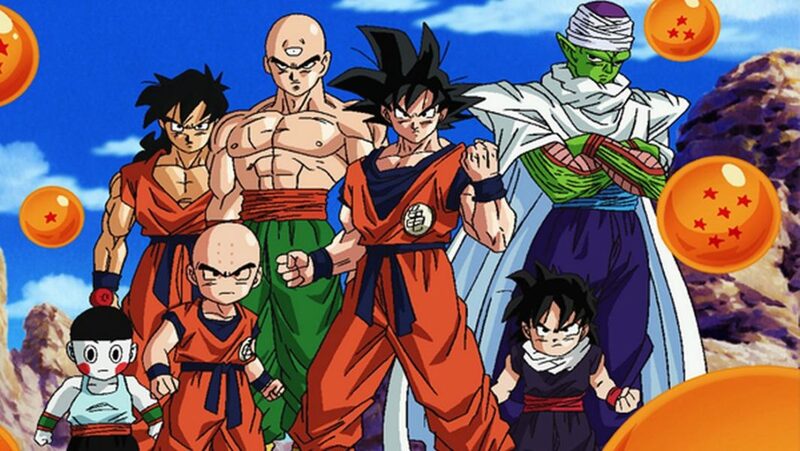 Goku joins Bulma in her search in hopes of becoming stronger and Bulma, well…. She got a bodyguard. As the show progresses we see how complex and intense the plot starts becoming, though I personally kinda liked the kid Goku series. The series has been widely popular with anime lovers as it is filled with intense action. If you are into power levels and peoples upgrading to stronger people, then this is for you. This is another great adventure/action genre anime. Even if you are not much into anime you must have heard of the show. Most people who are recommended ‘Naruto’ back off due to the immense size of the series, but let me tell you that it is worth the time. The show represents everything well with anime. Here we have an immature boy, Naruto, who aspires to become the greatest ninja ever and become the Hokage of his village. He sets out on an adventure to become stronger. But he has immense power locked within him which, if not controlled, might end up causing havoc. Man! One after another the hit shows just keep on coming. But come on, it’s ‘One Piece’ we are talking about. That is one of the most appreciated genres. So, obviously, many of the hits will be present. 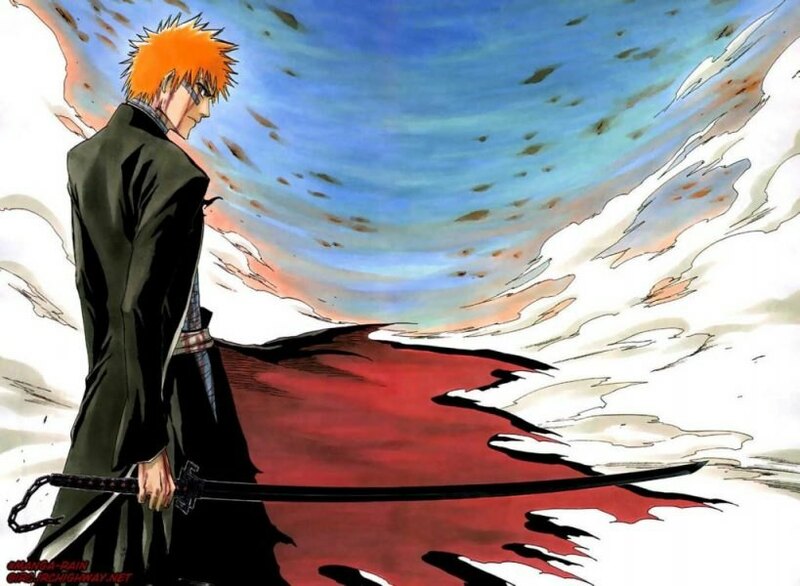 ‘Bleach’ is the story of a teenager, Ichigo Kurosaki, who has the ability to see ghosts/spirits. Due to this he one night he ends up meeting a soul reaper named Rukiya, who is fighting monstrous creatures called Hollows. To save his family Ichigo becomes a soul reaper. Later he starts using his powers to protect the world from evil. Again the volume of this series might be intimidating, but please give it a try, you will love it. This is series is gaining quite similar to the above three, both in term of plot and characters. 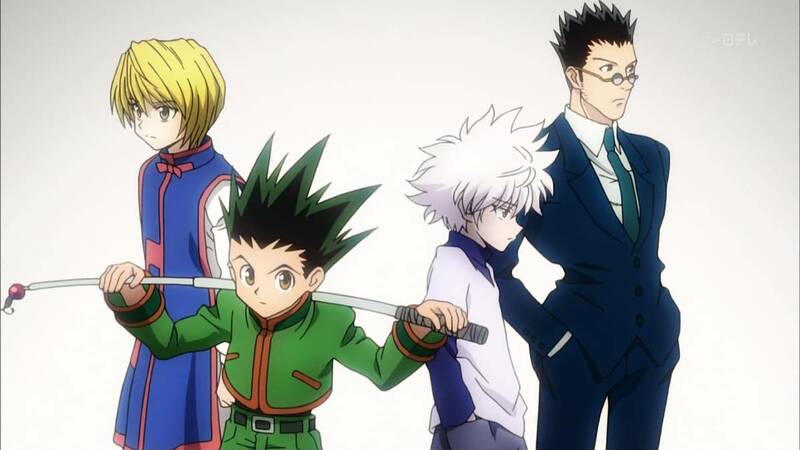 Gon wants to become a ‘Hunter’ to find his dad, Ging, who also is a hunter. To do this he has to pass the Hunter Examination. This leads him on an adventure where he meets Killua, with whom he quickly becomes a close friend. They later set out on a journey to find Ging and to become stronger. 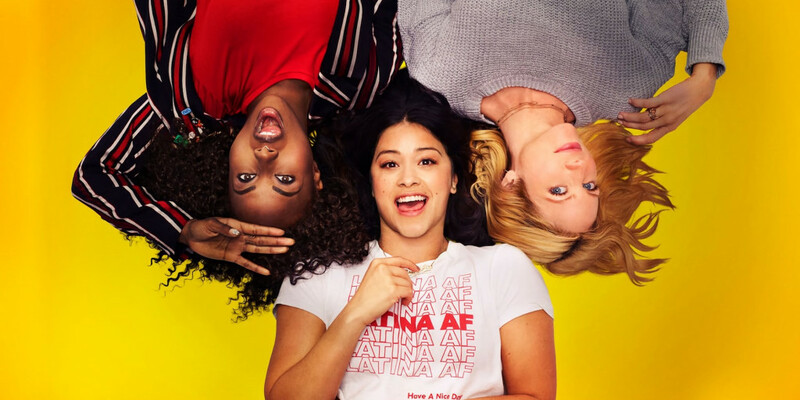 The series has some 140+ episodes. You can skip an episode or two in the middle. But overall the series is really entertaining. This is a weird adventure genre anime. I don’t care what you say, but I just felt the plot was a bit too unique. But nevertheless, I watched it and kinda enjoyed it. The story is set in a world where culinary skills and tasty food are of utmost importance. But the tastiest and most luxurious dishes are made from rare ingredients. But many chefs and rich people don’t have the ability to procure them. So, they hire Bishoku-ya who are people with special skill sets to acquire rare animals and ingredients. 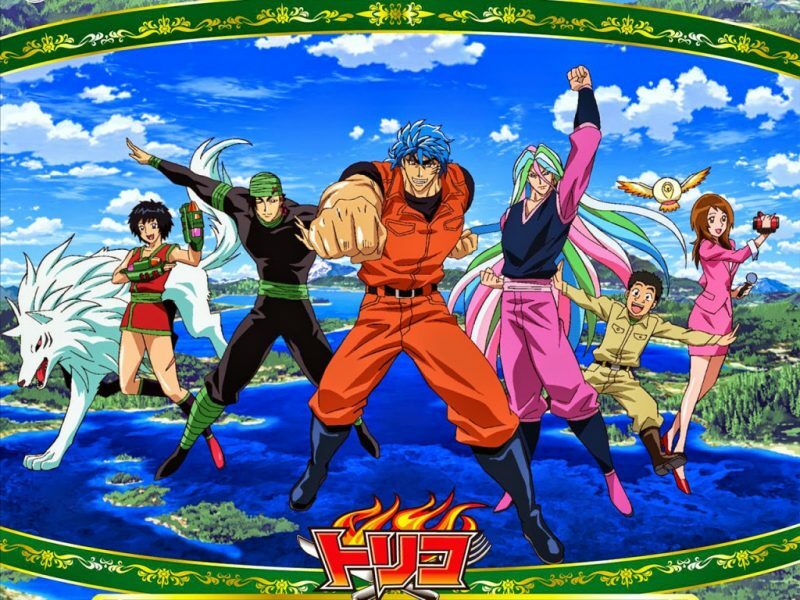 Toriko is one such person. He sets out on an adventure to find the rarest animals to create the ultimate dinner course. To earn money he works for other chefs and rich people. Anime has always tried to produce some of the best shows. 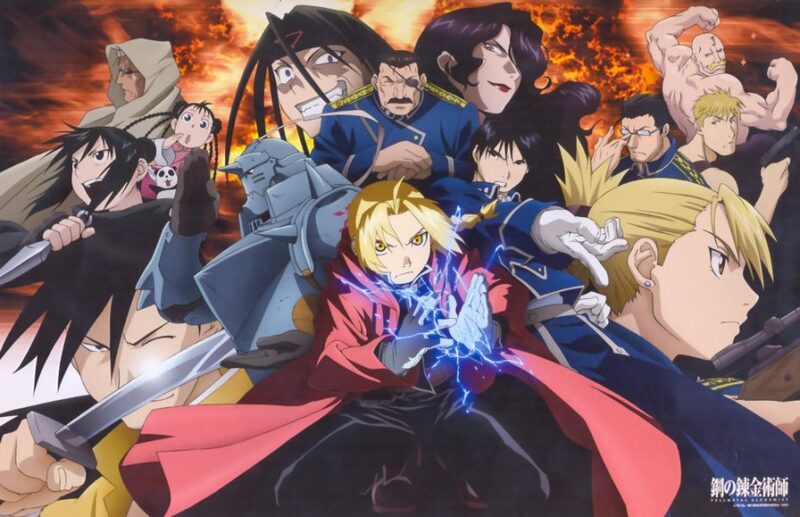 ‘Fullmetal Alchemist: Brotherhood’ is one such show. The plot follows the adventure of two brothers Edward and Alphonse. 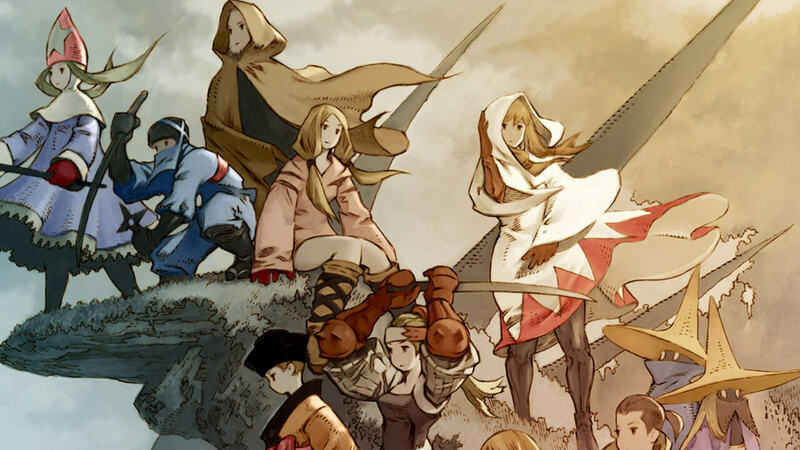 Their goal is to find the mystical philosopher’s stone so that they can restore their body which they lost while using alchemy to save their dying mother. Edward joins the military to find the stone. 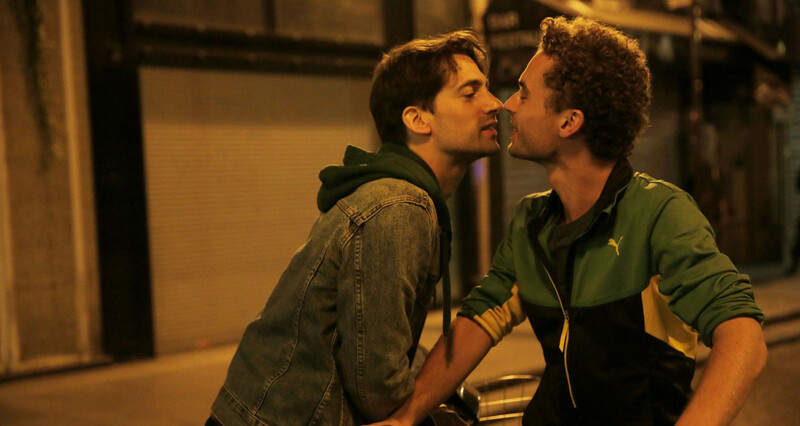 As the series progress, the brothers begin to realize that the journey is dangerous, as many other people want the stone too. This is a great anime and I highly recommend it. The plot introduces us to ‘Seven Deadly Sins’ a group of powerful knights. They try to attempt a coup to overthrow the government but instead they are defeated by the Holy Knights. But rumors start to spread that the knights have survived. Some years later the Holy Knights attempt a coup and succeed. They form a corrupt and unjust government. This leads the third princess Elizabeth to seek the Sins in hopes of reclaiming her kingdom. 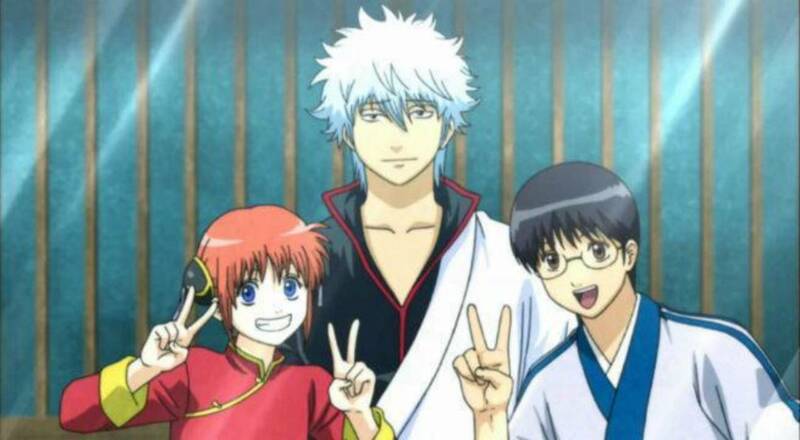 I liked ‘Gintama’ cause it is sometimes fun to watch a different type of story. The series is set in Edo-period Japan where aliens have invaded Earth and outlawed carrying of swords. The people are used as laborers by the aliens. The lead characters of the show are Gintoki Sakata, a samurai with eccentric temperament. An alien girl named Kagura and Shinpachi Shimura who is an expert in the Kakido-Ryu style. They occasionally go on adventures as a part of their job in a shop called Yoruzuya Gin-chan which takes any job for the right price. It turns out the price is seldom right. 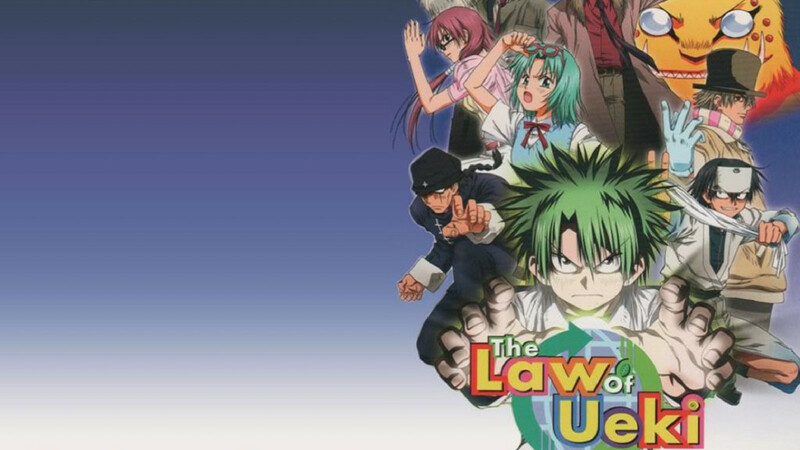 I liked ‘The Law of Ueki’ for the same reason I liked ‘Gintama’. It’s different and weird. Koba-sen is a God candidate. He picks a junior high student named Kousuke Ueki to fight in a tournament, where the winner will become God (I told you it’s different). He has to fight against other junior high students in the earth-friendly battle. Ueki’s power is to turn garbage into trees (and I told you it’s weird too). Will his abilities be enough to make him win the tournament? Now, let’s move away from earth a bit. Also, let’s move ahead in time. We are now in future and have landed on planet Sentinel III. 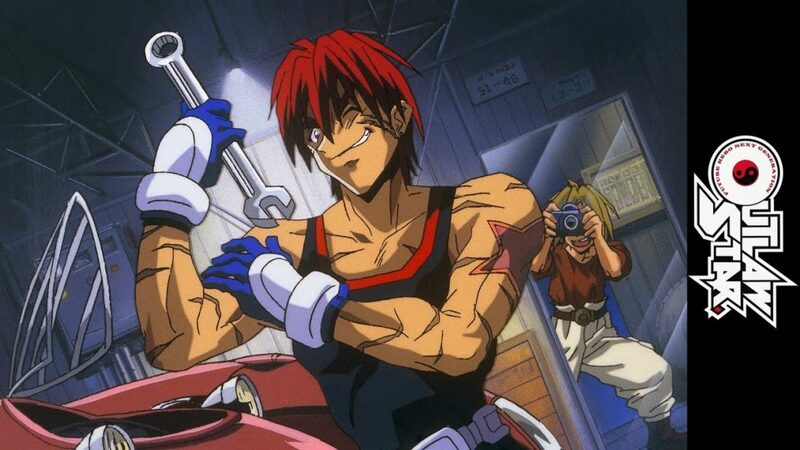 The plot of ‘Outlaw Star’ is set here. Here we have Gene Starwind and Jim Hawking who are partners on a business. They specialize in ‘on-hire’ jobs. All is normal until they meet a woman named Hilda. She hires them for being bodyguards and all hell breaks loose. Soon they are chased by cops, pirates, an assassin, and aliens. But they do have an advantage. They possess that fastest spaceship, ‘Outlaw Star’.